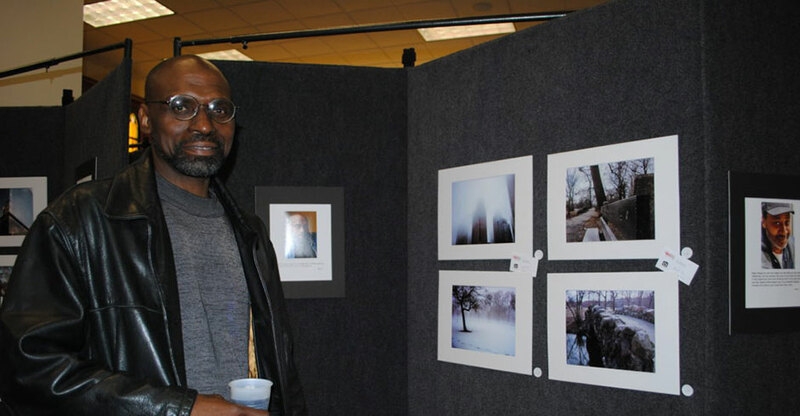 After Supper Visions is fortunate to have a number of volunteer groups who see the immense talent in ASV artists and sincerely want to help the artists grow in their experience as photographers. Some volunteers help throughout the year, such as the Photo Team members who work weekly with the artists to help them learn the art of photography and become increasingly skilled in taking creative, imaginative photos. 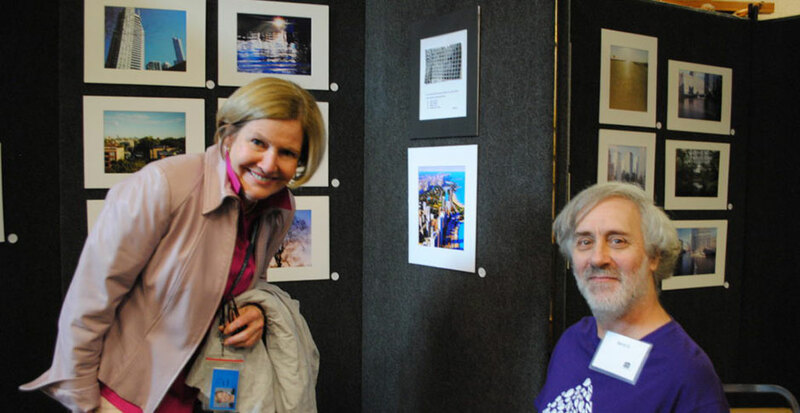 Other volunteers join ASV as the annual Photo Exhibition nears and their assistance is greatly appreciated, as well. 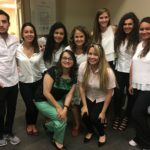 One of these groups is the Ibero interns who come to Catholic Charities as part of the Ibero Transnational Service Project (ITSP), coordinated under the Catholic Charities Office of Latino Affairs. Cary Rositas-Sheftel, Ph.D is the Manager of Latino and University Initiatives for Catholic Charities. In the beautiful piece below, Cary describes the ITSP project and the inspiring outcomes of this program. See also the wonderful photos of the interns assisting at the ASV Photo Exhibition last year. Thank you, Cary for sharing this with all who follow the AVV website. We look forward to welcoming back the Ibero interns this summer! A) Promote Catholic Charities services to Latinos through community outreach and education. B) Identify unmet needs in the Latino community and work collaboratively toward creative solutions. C) Act as a resource to parishes and community partners, streamlining the referral process for Latinos in need of services. The Ibero Transnational Service Project (ITSP) started in 2007. This project is coordinated under the Office of Latino Affairs. 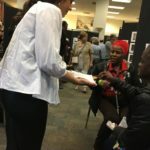 This mutually beneficial initiative between Loyola University (Chicago), Iberoamericana University (Mexico) and Catholic Charities provides students from Mexico with an increased awareness of migration issues in the U.S. while providing culturally responsive services to Latino families participating in Catholic Charities programs. These bilingual and bicultural Mexican students are majoring in psychology, communication, international relations, law, nutrition, history, fashion design, art, among others. Most of the students come from Mexico City. Homelessness has a very different face in Mexico. According to the Institute of Social Integration and Assistance, in 2017 there were 6,754 homeless persons in Mexico City. Eighty seven percent were men and twelve percent were women. Unfortunately, they suffer from discrimination and criminalization; there is a lack of support programs for them. 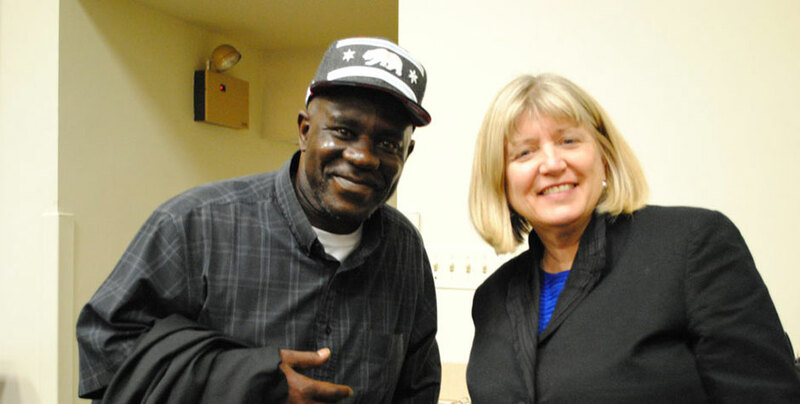 This same year, the city of Chicago reported 5,657 homeless persons (sheltered and unsheltered); less women than men. In this same year, the city of Chicago had 2.7 million people compared to Mexico City with 21.3 million (7.8 times larger than Chicago). Based on this information, the amount of homeless people in Mexico City is a lot less than in Chicago. 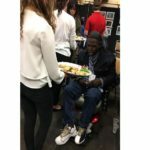 When the Ibero interns arrive to Catholic Charities, they realize the long lines of homeless clients and questions arise. The issue of not having a place to live is not very common in their country so this is a revelation of a social challenge. During their internship orientation, we talk about homelessness in Mexico and in the United States, how Catholic Charities is a beam of hope to persons experiencing this situation, the suppers at St. Vincent hall and After Supper Visions program. All of them are very moved and willing to help. Some of them request cards with information about Catholic Charities so they are prepared in case someone asks them for help. We had some others that committed their time every Tuesday to help by serving supper. These Ibero interns graduated from college and every time they visit Chicago, they stop by Catholic Charities on a Tuesday to help again serving supper. One of them now brings his wife along. 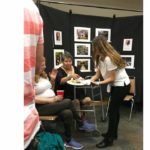 For the past five years, Ibero summer interns have helped at the After Supper Visions event. We share with them the purpose of the event, proceeds from the money raised, visit Mary’s Closet so they can grasp the complete transformational process that our clients are about to have and they are going to witness. They help during the event by serving appetizers to our clients-artist and guests as well as helping buyers by filling out purchase forms. These are roles that they are not used to have. For some, this is the first time in their whole life that they are going to do something like this. We have the case of an Ibero intern who was super shy and introverted but at the After Supper Visions event, she was the number one seller! 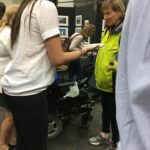 When I asked how this did happen she shared with me that when she realized the impact that helping buyers filling out forms was going to have in the life of the artists, she decided to shake away her shyness and do her best. 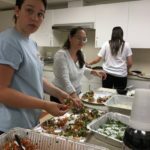 The Ibero interns write a reflection after this experience and they discover the true meaning of serving others and the happiness that this brings to them. “Serving is not doing what I want but being there where they need me”, one of them expressed. They also realized the assumptions or stereotypes that they might have about homelessness and how these are shattered once they are placed in a different position. “It is amazing the empowerment that the client-artists have when they are proudly sharing their photographs. This experience have also transformed me and now I “see” a social challenge when in the past I was blind about it”, another commented. We will continue supporting the After Supper Visions as every year. This is also a great opportunity for the Ibero interns to reflect about the need that Mexico has to respond in a better way to homelessness issue, especially if there might be an increase of migrant people living in the streets while waiting for asylum in the United States. Through the Ibero Transnational Service Project, Catholic Charities is not only levering services to the Latino population in a culturally responsive manner. Catholic Charities is fulfilling the commitment of preparing future young Mexican leaders to become change agents to fight to what they believe is right, just and fair in a compassionate and professional way. 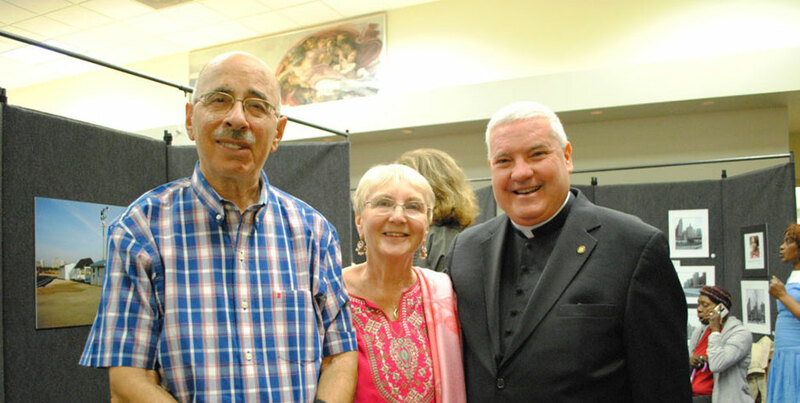 Dr. Cary Rositas-Sheftel has been working for Catholic Charities since 2013. She started with the Head Start-Child Development Centers by implementing a bilingual program and engaging Latino families in the education of their young children. Currently she is the Latino and University Manager at the Office of Latino Affairs. Previously, she worked as a professor of the school of education and psychology as well as the director of the Center for Solidarity and Philanthropy at Universidad de Monterrey, Mexico. She loves working with Catholic Charities because of the alignment of its mission to her personal values. In her current position, she has the opportunity to strategically serve the Latino community as well as promote in college students the importance of serving others as part of their personal and professional life.